Eco Efficient is a professional boiler and central heating installation and repair service provider. It’s one of the top companies in the United Kingdom specializing in both commercial and domestic heating installations and maintenance. The company has been offering excellent services to its Harrogate Clientele for many years. We also extend our services to the neighbouring areas including Scotton, Calcutt, Beckwithshaw, Killinghall, and Knaresborough. Servicing your boiler is important to maintain the appliance’s safety and efficiency. In fact, every boiler manufacturer recommends annual boiler servicing. During the serving process, an expert can identify components with issues and rectify the problem long before it causes you a headache. Eco Efficient has a team of highly trained engineers who carry out all aspects of domestic and commercial boiler servicing. These individuals have a broad knowledge regarding boiler servicing and they always do an excellent job. You don’t have to let unexpected boiler breakdowns leave you freezing. With Eco Efficient, every Harrogate resident and other nearby cities can be assured of timely boiler repair services. 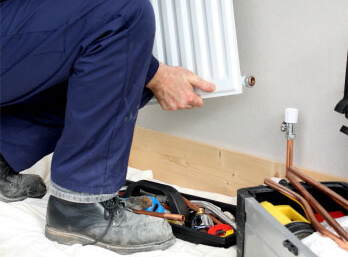 Our experts can repair boilers from different manufacturers and brands. While gas safety estimates the basic functionality and safety of a boiler, our boiler repair team will perform a full appliance check to pinpoint the issue and its cause. Keep in mind that your boiler might be having different issues and you only spotted one. With thorough inspection, you can be assured that our engineers will solve every problem with your boiler. Installing a new boiler isn’t a walk in the park: you need to understand how boilers work, the safety measures to consider when installing it, and have the right tools and technical know-how regarding boiler installation. In fact, this isn’t one of the ‘do it yourself’ household tasks. This is because poor boiler installation can result in inefficiency in the appliance’s performance, translating into high energy bills. Besides, boiler leaks can result in carbon monoxide poisoning and in worst cases, cause short circuiting in the electrical components of the boiler. Why take such big risks when Eco Efficient can install the appliance properly at a very low cost? Whether you’re installing a boiler in your home for the first time or you’re simply replacing your old boiler, our engineers will be ready to help. They have the resources required to install a boiler successfully. Is your boiler leaking? We are just a call away for a same-day fix. At Eco Efficient, we understand how inconveniencing gas and boiler leaks or a boiler losing pressure can be. This is the main reason our friendly and professional engineers are waiting for your call to get your boiler leaks fixed. Our engineers are fully qualified, insured, and take pride in provide top quality services. 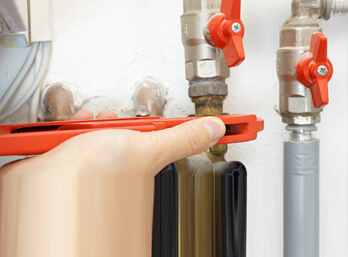 They will guide you through the entire process of identifying and fixing a boiler leak. Besides, they will discuss different viable solutions with you before they fix the issue. This ensures that you understand what they are fixing and how it’s being done. Moreover, all parts and labour come with a guarantee to give a peace of mind. Who doesn’t love a warm home especially during those freezing winter months? 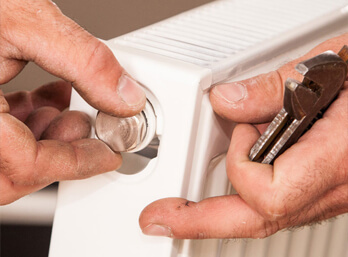 If you need to keep your house warm, then, we can provide you with a team of engineers to make sure that the central heating installation is properly done. This will ensure that all the rooms in your home are evenly heated and up to the right level. Central heating is a huge investment and you don’t want to let it get wasted because of improper installation. Even the best central heating systems develop an issue once in a while. When they do, the last thing you should do is trying to fix the issue on your own. This is because boilers and central heating systems are complex appliances that should be inspected and repaired by professionals. For instance, if you noticed that your rooms aren’t getting heated evenly, it might difficult for you to pinpoint the exact failing component of your central heating system. However, an expert understands different components of a central heating and their roles. When there is an issue with the boiler, it will be easier for the expert to identify what’s failing and how it can be fixed within a short time. This is main reason you should contact Eco Efficient whenever you notice a problem with your boiler or heating system. Providing reliable, timely, affordable, and convenient services is our main aim. For this reason, we have provided our engineers with company vans to ensure that they reach our customers’ locations in time and serve them.